ROAD BIKE EVENTS; THE NEW BUSINESS ‘GOLF DAY’. Last week we hosted a construction and property focussed road bike ride just a stone’s throw away from our group head office in Chesterfield. 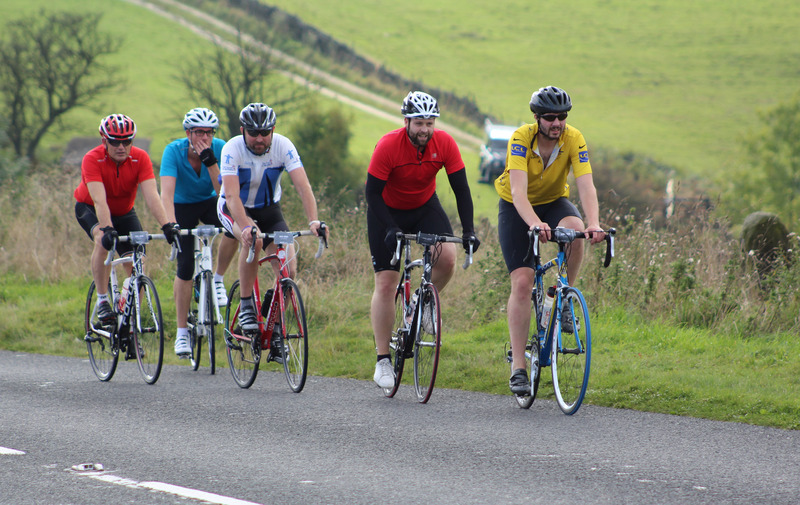 The event, named ‘Le petit tour de Derbyshire’, was made up of teams from Morgan Sindall, Simons Group, Henry Boot, Turner and Townsend, Monaghans and Vinci Construction, as well as WCEC of course. The ride was a 28 mile figure of eight road course between Bakewell and Hathersage in the Peak District and passed Chatsworth House. There was also a gruelling 3.5 mile climb close to Froggatt Edge onto the Moors. “It was really good to take part in something a bit different in terms of a business event, in part promoting cycling and health. Being so close to WCEC’s Head Office, this was a great idea. We found that the whole event was really well managed, with a challenging ride and some healthy competition. The atmosphere was informal and everyone seemed to really enjoy it”. The idea for the ride was that of our Group Chairman James Kemp who originally suggested the idea on LinkedIn; we saw an instant response in terms of interest so it all came together quite quickly from there. The event was a big success for us and demonstrates the huge rise in popularity of road cycling in recent years. There was a charity angle to the day as well, with teams invited to make a contribution to Bluebell Wood Children’s Hospice which, the business has supported and raised substantial funds for in recent years as part of our ongoing Corporate and Social Responsibility work. You might have noticed that the blog has been a bit quiet recently; life seems very busy at the moment! Certainly from a work perspective, we have a significant amount of project work and new opportunities coming through. Last week WCEC Group were awarded the Gold certification under Investors in People; the highest attainable accreditation level on the scheme. This is a huge achievement for us and again underlines our level of focus and investment in our staff, who are by far our greatest assets. This evening we are hosting our annual London drinks event in Mayfair with a high profile guest list attending. Next week is the first MIPIM UK. I’ll be there (although the jury is out on how it will compare to the global MIPIM event in Cannes). One thing we can be almost certain of; the weather won’t be as good and travel could be a nightmare thanks to planned strike action on the London Underground!